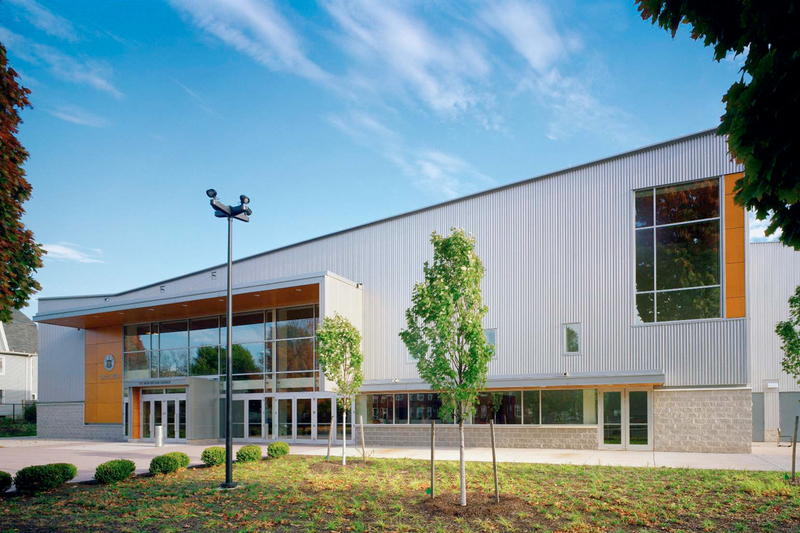 This facility provides a collegiate ice hockey rink for the varsity programs at Trinity College and community recreation space for the City of Hartford. The building includes seating for 1,250 spectators, a community lounge, snack bar, public lockers and skate changing area. The upper level, which overlooks the east side of the rink, features another lounge and four community rooms for meetings, functions, fitness and informal gatherings. 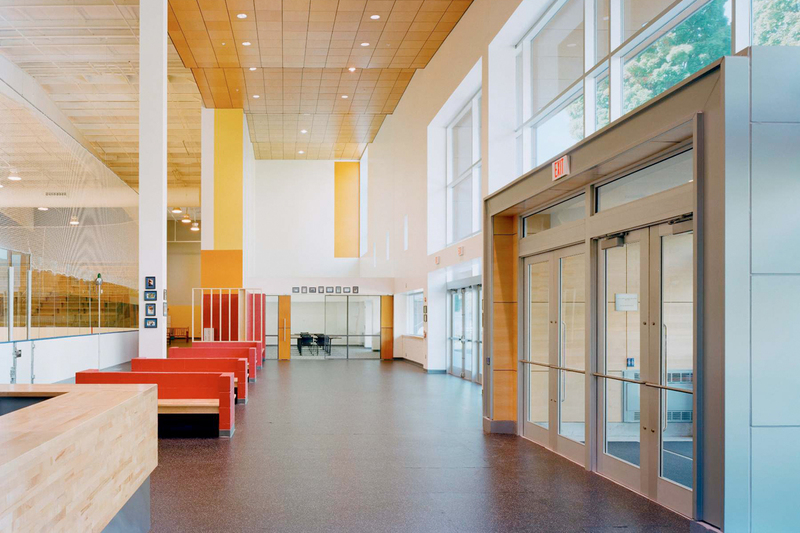 Designed as an extension of the Learning Corridor educational campus, the sports center meets one of SINA’s (Southside Institutions Neighborhood Alliance) key objectives - providing safe space for recreational opportunities and constructive programming for the community. The Koeppel Center may be the first urban community athletic facility in the country that connects neighborhood families with the resources of a liberal arts college.